The Massive Data Institute (MDI) invites you to attend the second of our two-part Python programming workshop, which will focus on manipulating and analyzing data. Led by our Postdoc Fellow, Laila Wahedi, you will have the chance to heighten your skills with expert help along the way! Please be sure to bring your own laptops for the workshop. 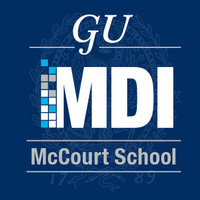 For any workshop updates, additional information, or accomodation requests, please contact MDI at mdiresearch@georgetown.edu. We will do our best to fulfill your accommodation requests.